This topic contains 1 reply, has 2 voices, and was last updated by Mojib 3 years, 2 months ago. You don’t need to upload video files, you can simply add a link to a Youtube video. 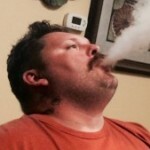 Browse to the e-juice, click the “Add Review” button. Once you’ve submitted your rating you’ll be asked if you wanted to add any media. Hit the “Link video” tab and paste your Youtube video URL. If the site doesn’t have the e-juice you’re looking for you can always use the Add E-juice function.